The abbreviation of Oklahoma is OK. Oklahoma City is the largest city in Oklahoma. 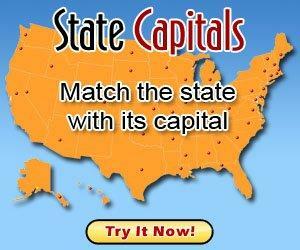 It is also the state capital. Residents of Oklahoma are referred to as "Oklahomans." The unofficial name of Oklahoma is "The Sooner State." The state song is "Oklahoma." The state motto is "Labor Omnia Vincit, latin for "Labor Conquers All Things." Oklahoma state bird is the Scissor-Tailed Flycatcher. The state flower is the Oklahoma Rose and the state tree is the Redbud. Oklahoma is a word that was made up by the native American missionary Allen Wright. He combined two Choctaw words, "ukla" meaning person and "humá" meaning red to form the word that first appears in a 1866 Choctaw treaty. Oklahoma means "red person." Oklahoma is ranked 27th in population and it received its statehood in 1907. Arkansas, Colorado, Kansas, Missouri, New Mexico and Texas are bordering states of Oklahoma. The Arkansas River, Canadian River and Red River are major bodies of water associated with Oklahoma. Farming (wheat, cattle), oil and natural gas are the major industries of Oklahoma. Do you have facts that you'd like to contribute to our Oklahoma page? If so, please use our contact us form. We will probably need to fact check any contributions so please provide us with a link to a source to verify it. Want to know about preparing for the Oklahoma Core Curriculm or OCCT Standardized Tests? Are you interested in information on Homeschooling in Oklahoma or a Oklahoma homeschool parent support group? Online homeschool trends have been rapidly growing thanks to new interactive learning tools.